Today I’ll be reviewing a product that I feel was basically made for my oily, acne-prone, sensitive skin. Benton recently launched a testing campaign to try their new product: Tea Tree Cleansing Water. Y’all know I’m a sucker for cleansing waters and livin’ la vida lazy, so I jumped at the chance and thankfully - I was selected! Read on for my review and thoughts on the product. I received this product on February 16 and immediately incorporated it into my routine, however, note that I’ve only been using it for about 10 days at the time of this review. Benton is a household name in the K-Beauty world. They’re well known for incorporating potent, effective ingredients such as snail mucin and bee venom in their products. After reviewing some marketing material from Benton, I discovered that the brand’s name was actually inspired by the film The Curious Case of Benjamin Button, where the main character ages in reverse. I thought this was super interesting and a brilliant reference to build a skincare brand around. Kudos to Benton for thinking outside the box. Benton is a cruelty-free brand which focuses on restoring skin to its healthy, original condition by using clean ingredients instead of harmful ones. They create their products in small batches to ensure freshness is kept in tact. The more I learned about Benton, the more impressed I was. Now, did their product live up to my expectations? The Tea Tree Cleansing Water was made in order to simplify our skincare routine for those using a separate cleansing water and tea tree oil wash. I already use a tea tree wash in my routine so this was a perfect product for me to test. This cleansing water is supposed to target stressed and blemished skin to remove impurities and provide a refreshing cleanse gentle enough for sensitive skin. It is also intended to calm angry skin due to heavy makeup use. When I looked over the ingredients list I was extremely impressed. First of all, it’s only 10 ingredients long. Secondly, I love tea tree because it's a complete godsend when it comes to acne-fighting properties. Tea tree oil is a natural healer, with antibacterial and antimicrobial properties to fight acne-causing bacteria. It also breaks up pore-clogging oil and dirt which also tends to cause acne. Not only does this cleansing water contain tea tree leaf oil extract, but it is also comprised of 70% tea tree leaf water - a double whammy of tea tree cleansing goodness. Tea tree leaf water is the first ingredient on the list before regular water and I ain’t mad at it. The ingredients in this formulation are naturally derived and best of all, free of fragrance, dyes, sulfates, and PEGs. According to COSDNA the only acne trigger is butylene glycol (1) which is used as a moisturizing agent and solvent. All ingredients have an EWG hazard score of 1 or 2. I would say it’s suitable for all skin types, but formulated especially for oily, acne-prone skin types like myself. Directions for use on package. According to the package, this cleansing water is intended to be used as a makeup remover or a morning cleanser. Typically, I use cleansing water as a triple-cleanse step, either before or after my double cleanse. However, to test this product I subbed this in place of my morning oil cleanse. On occasion, I also subbed this product in my PM routine on light makeup days. I applied the water to a cotton round and gently patted it into my face in an upward motion, so as not to rub and irritate my active breakouts. I also used it to remove makeup on light makeup days to test its cleansing power with oil-based makeup. The water was effective at removing my Clinique High Impact Mascara, Dolly Wink eyeliner, and NYX Lip Lingerie matte liquid lipstick with one swipe. I would dampen a cotton round and hold it to either my eyes or lips for a few seconds then wipe off. I'd say it had pretty good makeup removing power which I would say is typical of an effective cleansing water. Cleansing power after one pad. As for foundation and concealer, it worked decently as well but I prefer not to use my cleansing water to remove face makeup as it just requires a lot of product and cotton pads. I used this product consistently for 10 days. It's important to note I was having a bad breakout at the start of and during this testing period. Though I haven’t been using it for very long and the results may not show a visible difference, I’ve felt a drastic change in the way my skin feels after using it. My skin feels cleaner, more sanitized, and less congested, like I’m treating my breakouts in a way that isn’t causing it to become more irritated or inflamed. My skin had several whiteheads and cystic acne that popped up during the time I was using this, but the cleansing water did a great job at soothing my skin and getting rid of them within just a few days - along with other acne treatments in my routine such as salicylic acid. I found this tea tree product worked extremely well with my COSRX Low pH Good Morning Gel Cleanser, and enhanced the potency of the cleanser. I’m currently loving them together in the morning as an amazing 1-2 punch to treat my skin. However, I focus this mostly on areas where I’m prone to breakouts, and make sure to moisturize properly so as to not dry my skin out. I would imagine people with drier skin might find it too drying if used alone, so just remember to proceed with toner and moisturizer afterwards. Again, this product works best for oily skin types. Just about the only downside other than dryness that I can think of would be the tea tree smell, but I actually find it refreshing. I find the smell is similar to but not as pungent as the COSRX Low pH Good Morning Gel Cleanser. 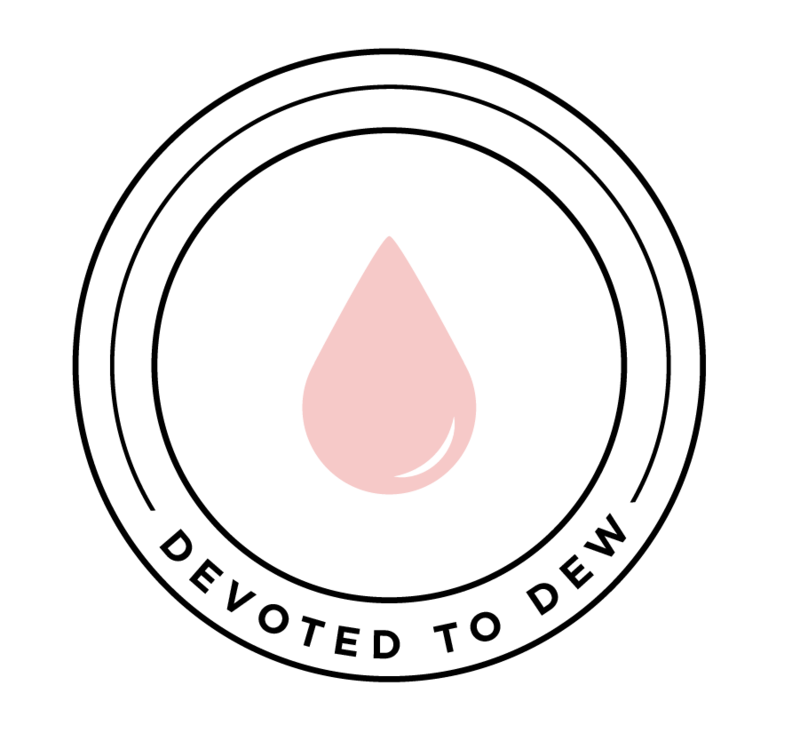 The scent dissipates on contact so if you can deal with it for a few seconds, it’s worth it in the end. If you’re used to tea tree products, this shouldn’t come as a surprise. Anothing thing to note is the bottle is a bit on the smaller side, with only 200 ml or 6.76 oz of product. In the 10 days I used it (and used it generously), I have gone through about ¼ of the product. Tea Tree Cleansing Water size compared to cotton oval from Target. Note: cotton oval is from morning cleanse before foam cleanse. I enjoy having this product in my arsenal, and find it to be especially great for breakouts. It gives that extra benefit when you are cleansing and leaves your face feeling refreshed and soothed at the same time. Now — it's supposed to be a standalone product and not intended to be used in conjunction with a tea tree oil wash, but I found the effect was greatly enhanced when I used it this way. This is a solid product overall and I love the extra cleansing power and soothing factor the tea tree water provides. I will continue to use this in my routine to give it a full review and update later along the line. For now, I’m grateful that a product like this exists and hopes Benton makes it readily available soon! Overall - In my experience with using this product for 10 days, I give it 4/5 stars! Have you tried this product or are you interested in trying Benton's Tea Trea Cleansing Water? Let me know what you think in the comments! *Disclaimer: This product was provided by Benton Cosmetic for testing purposes. All opinions are honest and my own.